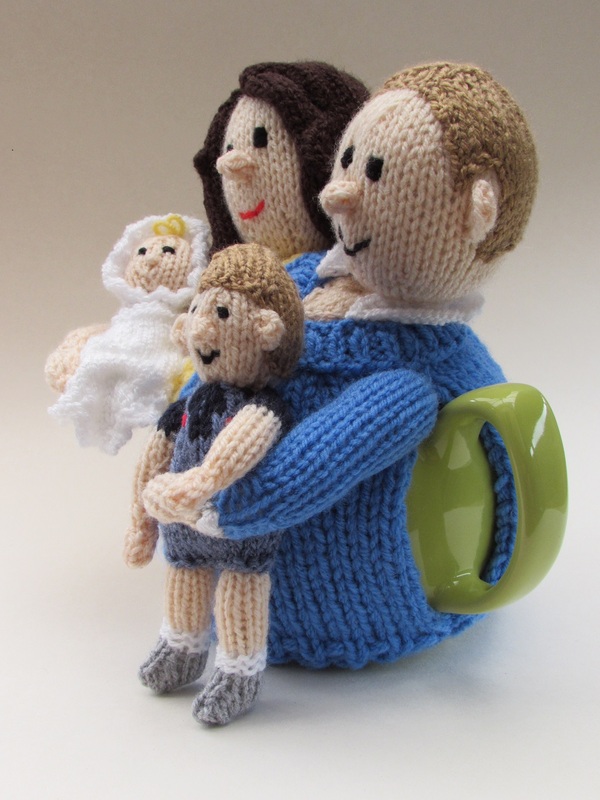 The William and Kate tea cosy also feature the little royals Prince George and Princess Charlotte, it makes a fantastic commemorative tea cosy of the Royal baby news to add to your collection. 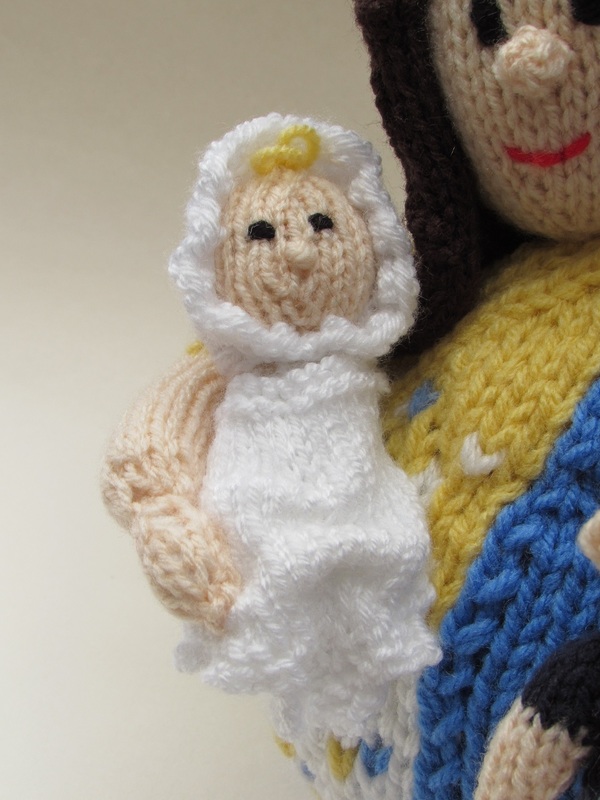 Will are Kate are fashioned to appear as they did on the day that they introduced Princess Charlotte to the world. 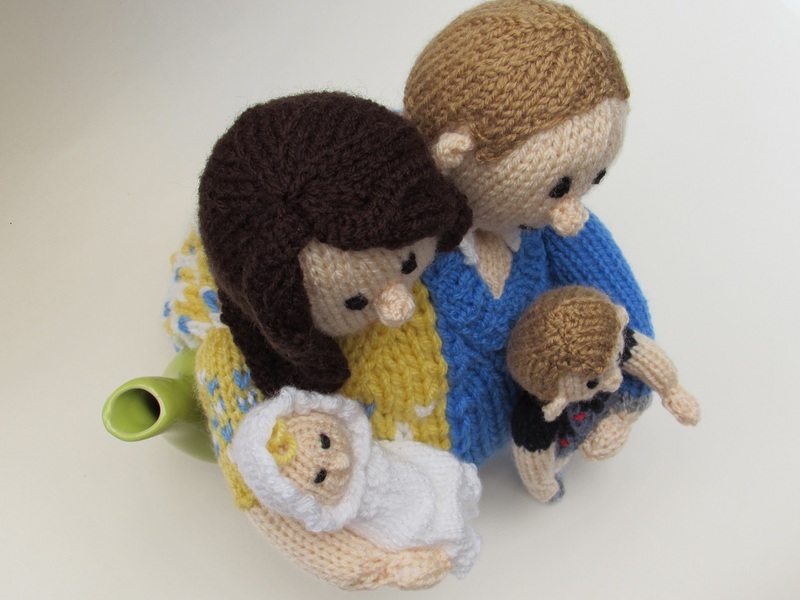 Of course we could leave out cute little Prince George who completes the little Royal Family gathering. 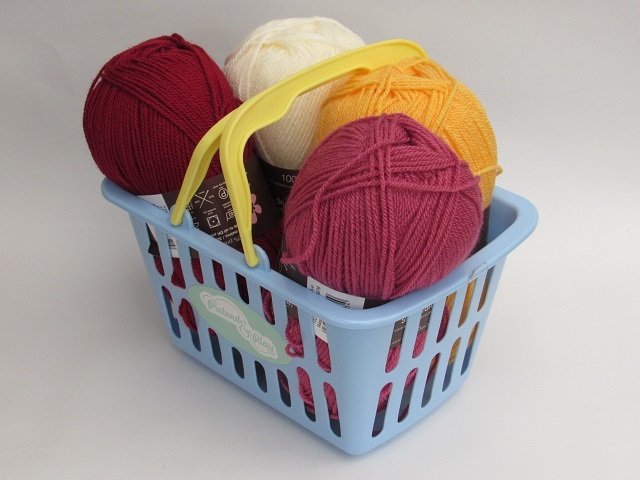 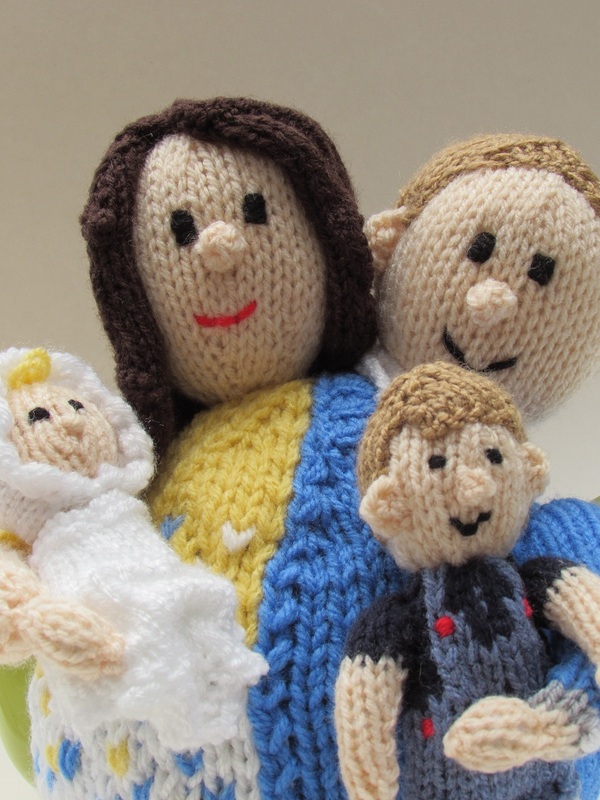 The knitting pattern is repetitively easy to knit, you need to be able to knit from a chart to knit Kate's dress and George's dungarees. 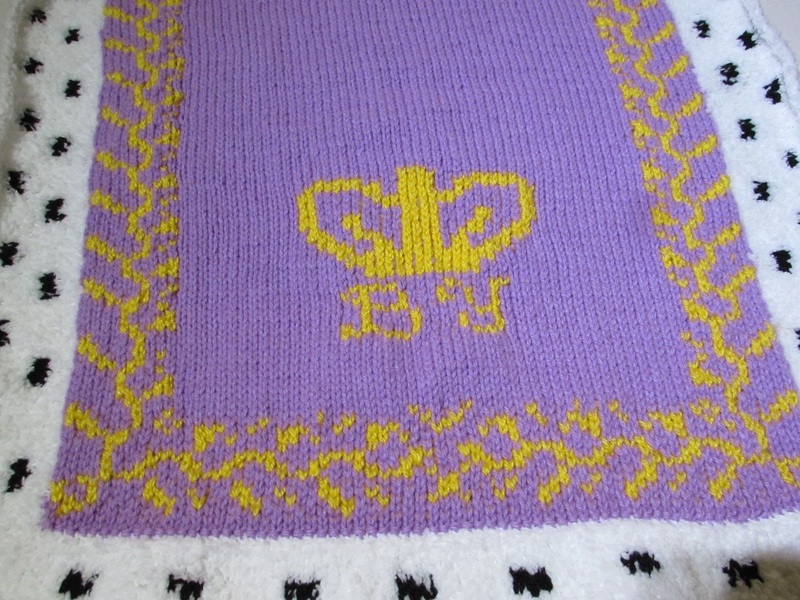 The pattern is a long one, so if you want a larger project to sink your teeth into, this one will give you hours of pleasure. 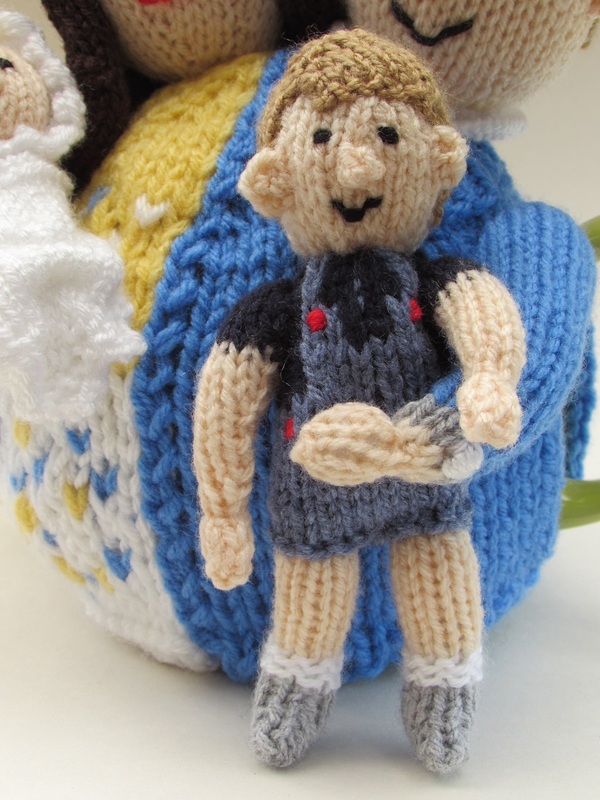 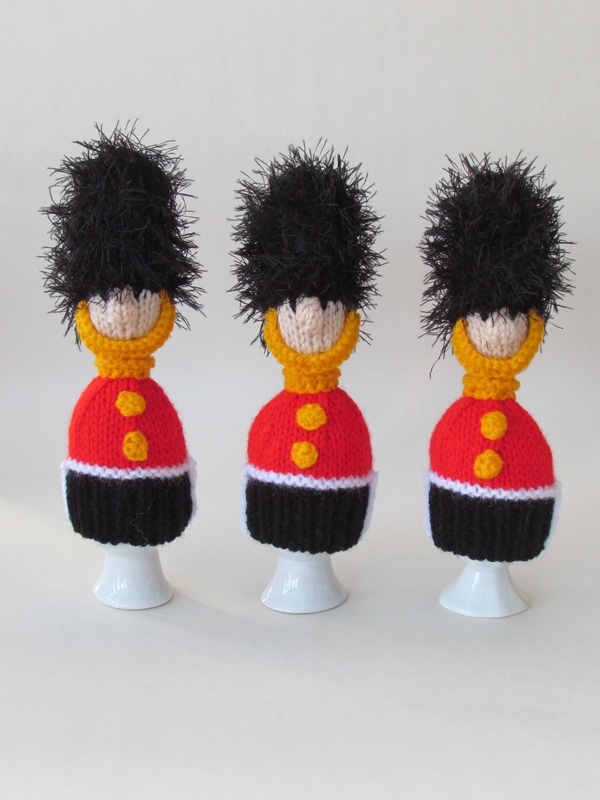 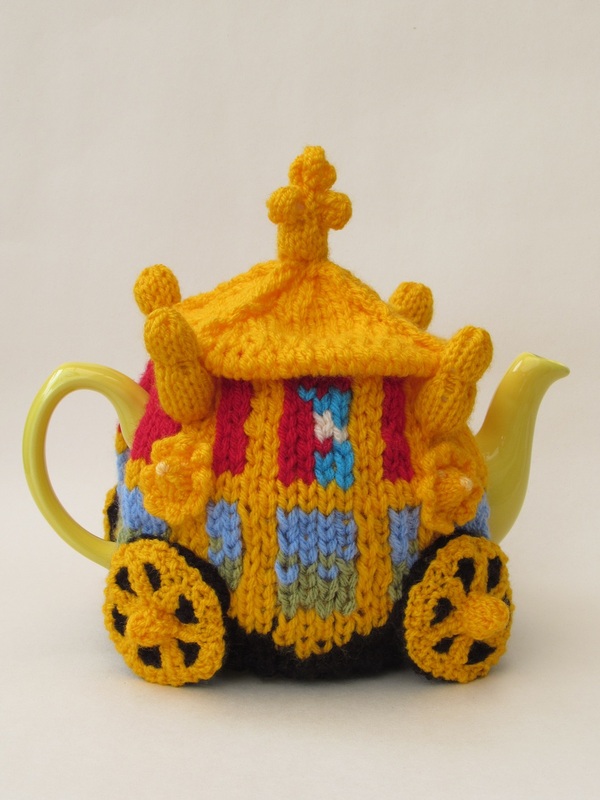 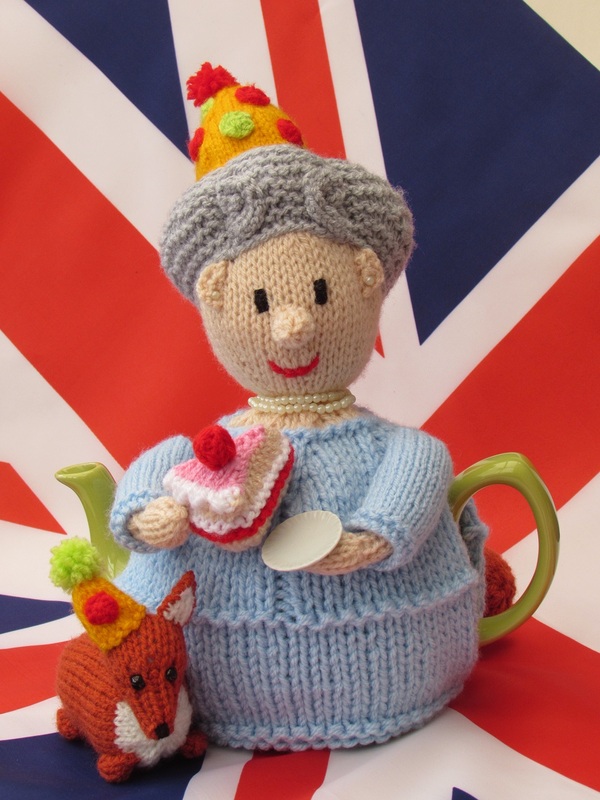 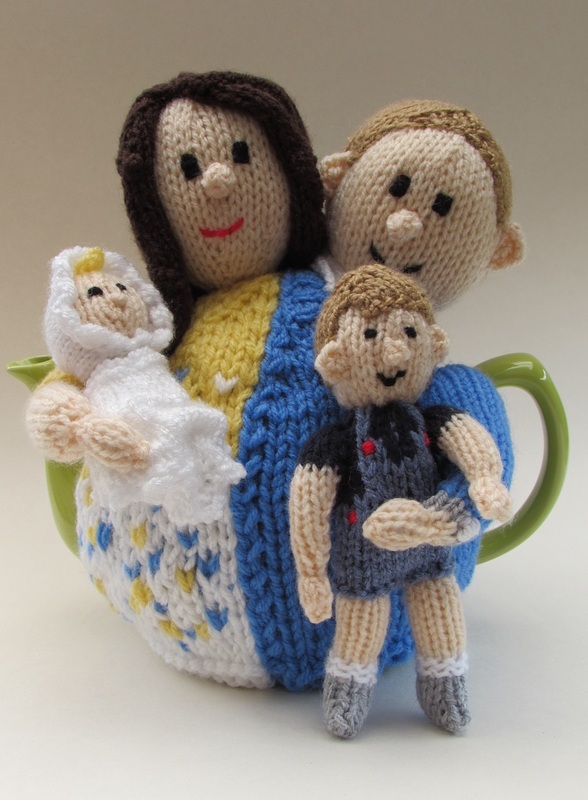 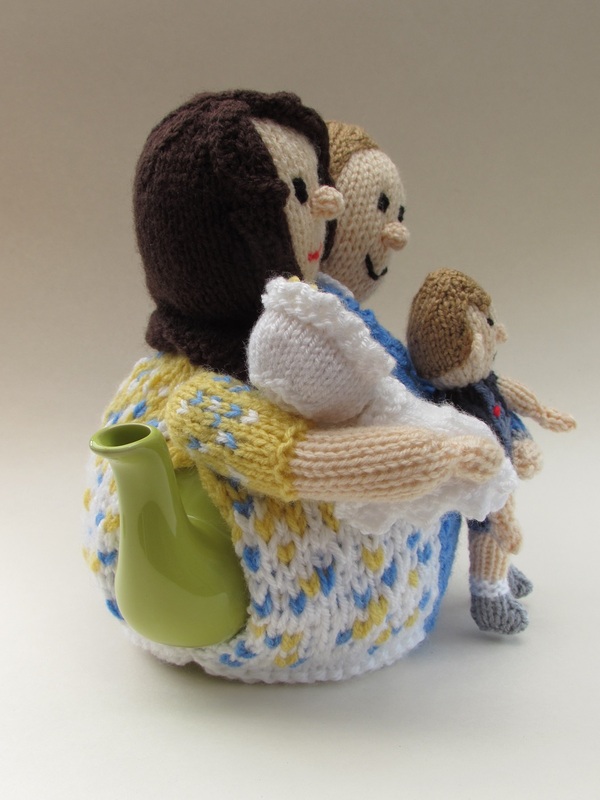 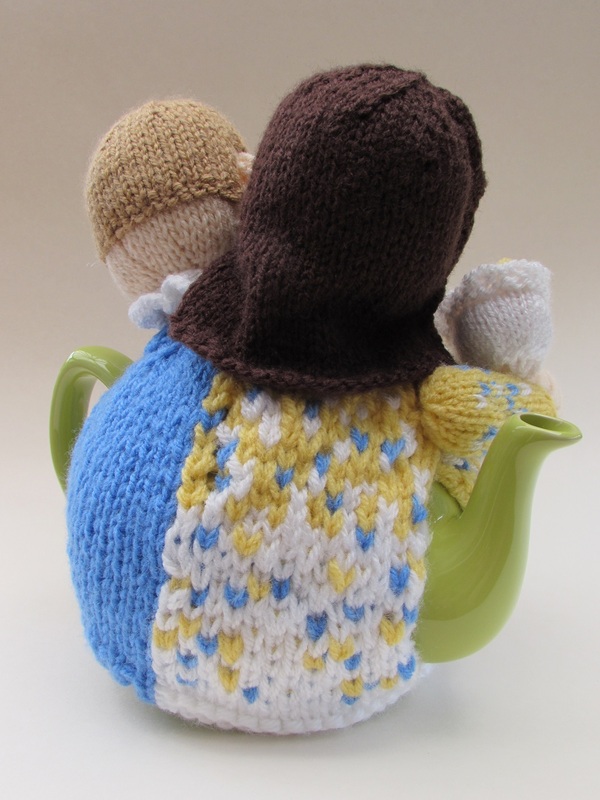 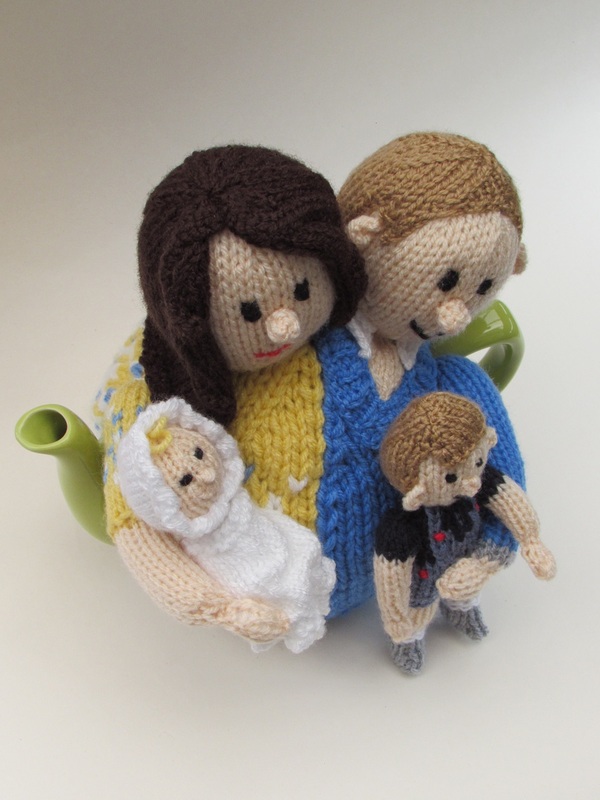 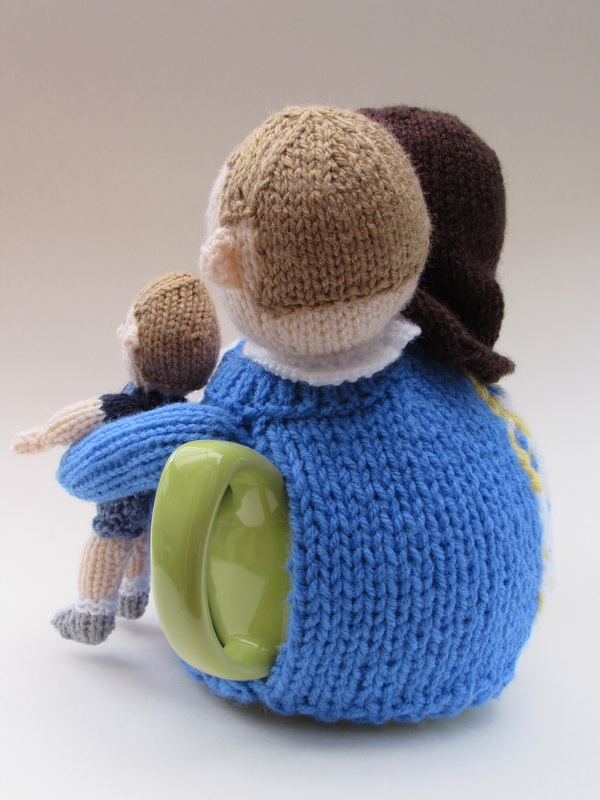 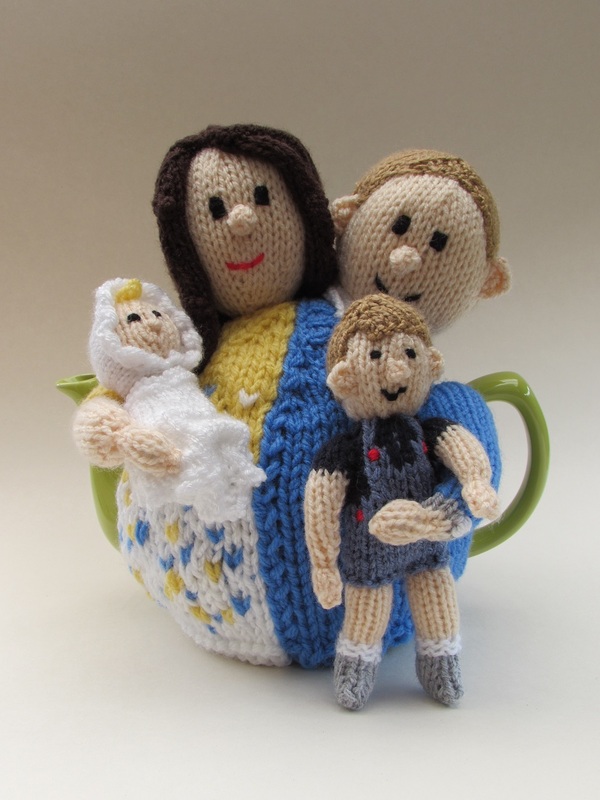 The Duke and Duchess of Cambridge tea cosy with their two children George and Charlotte, can now join you with your cup of tea with the Will and Kate tea cosy.